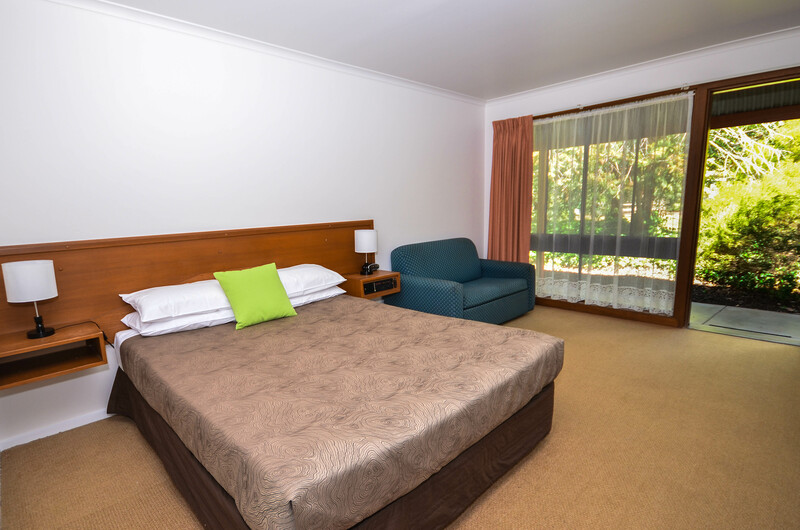 These comfortable and spacious Queen rooms feature a two seater couch, dining setting, mattress topper and breakfast making facilities. 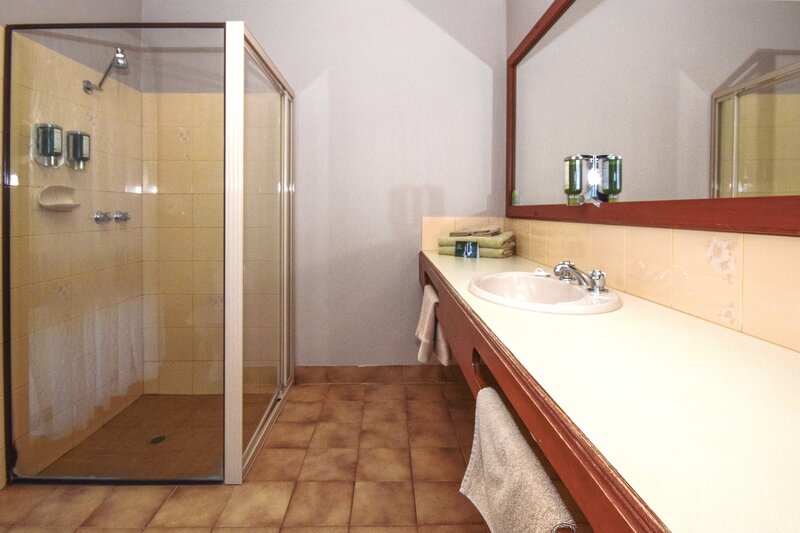 The bathrooms are also large with plenty of room to move and good bench space. 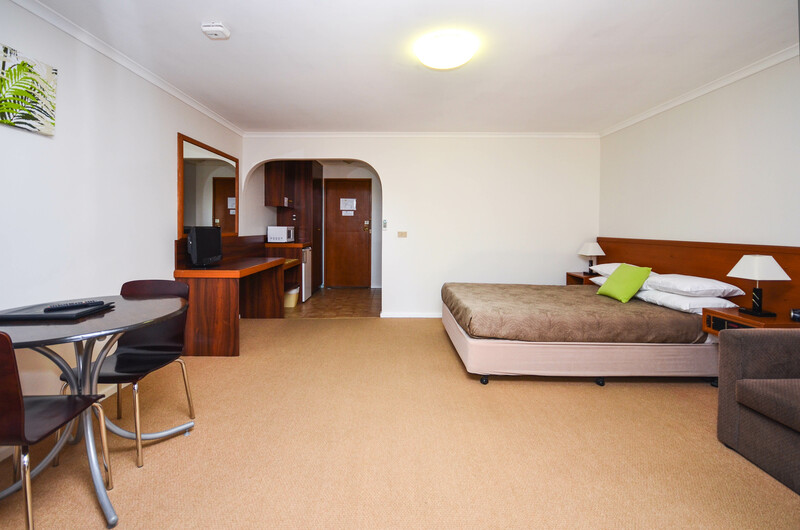 Parking is directly in front of your back door so no need to walk long distances carting luggage. 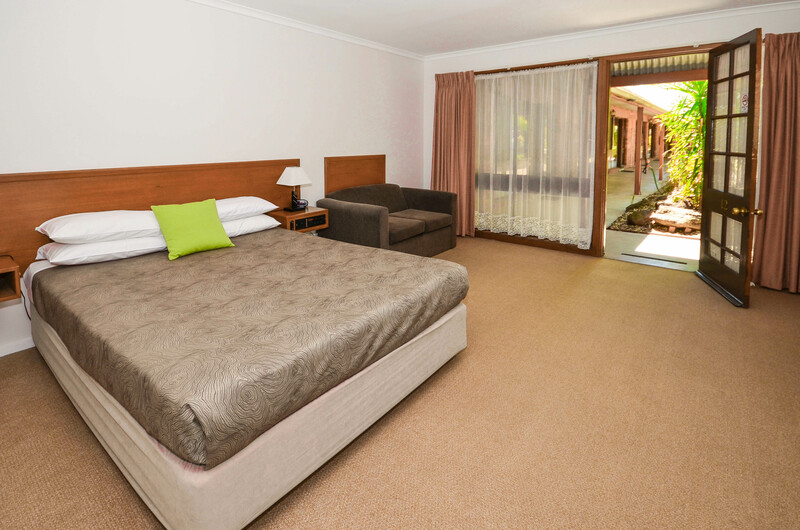 The glass front door opens onto the large private gardens and pool area. 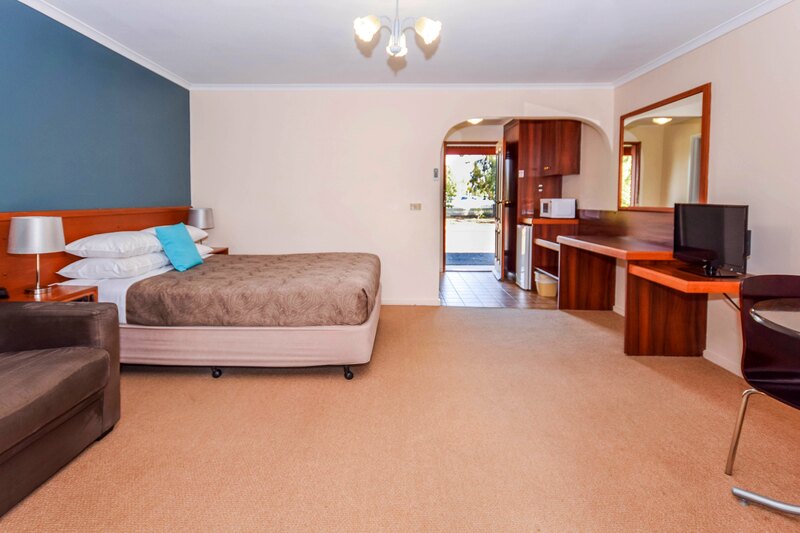 All rooms are ground floor as well. 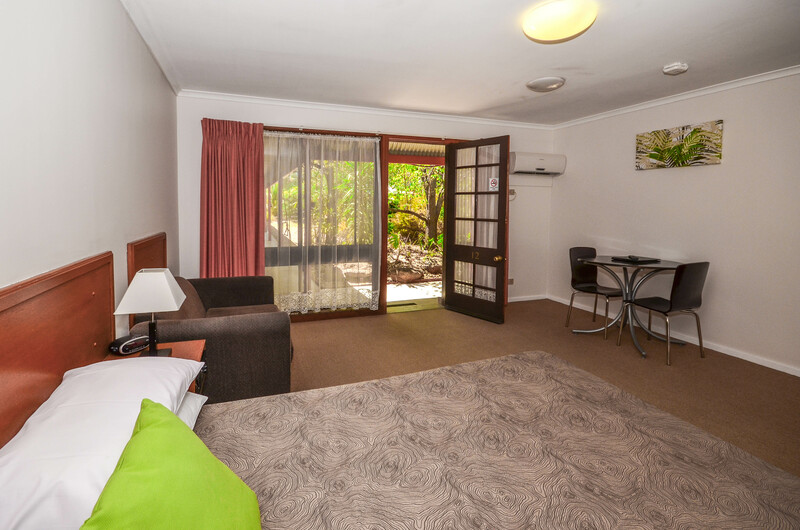 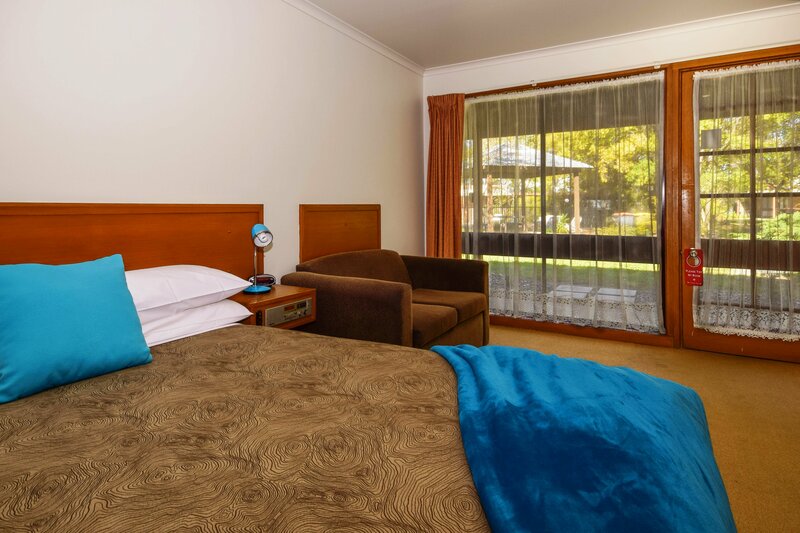 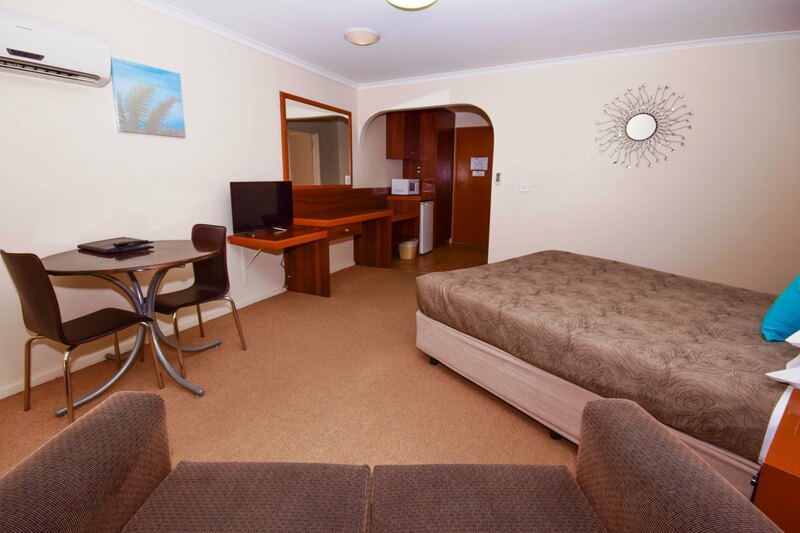 These rooms have reverse cycle heating/air conditioning, 32" LCD TV, microwave, bar fridge, kettle, toaster, hairdryer, iron, ironing board, crockery, cutlery and dish washing items. 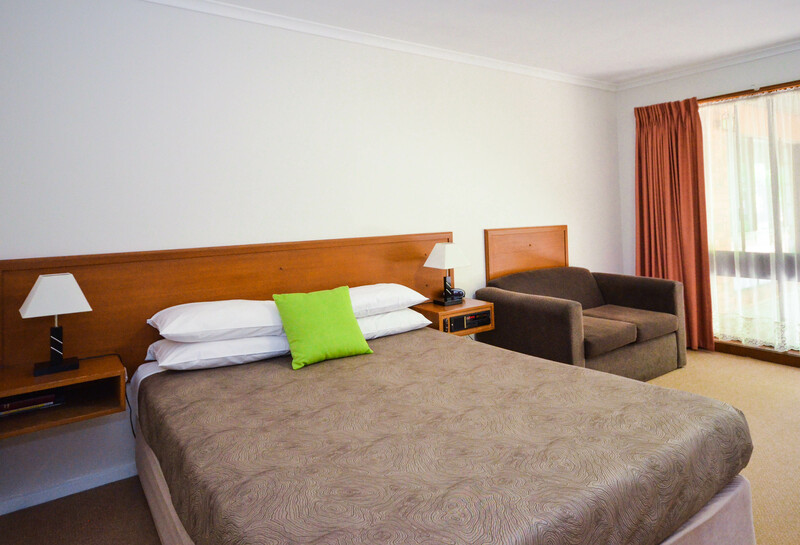 Complimentary tea, coffee, sugar, milk and bathroom amenities are also provided. 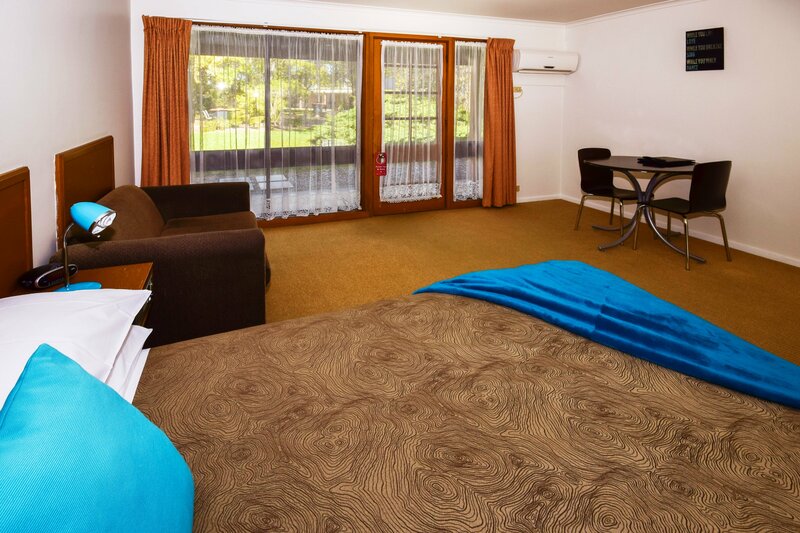 These economical rooms are perfect for couples looking for a well earned break, and with only a few available, book now by phone or online.